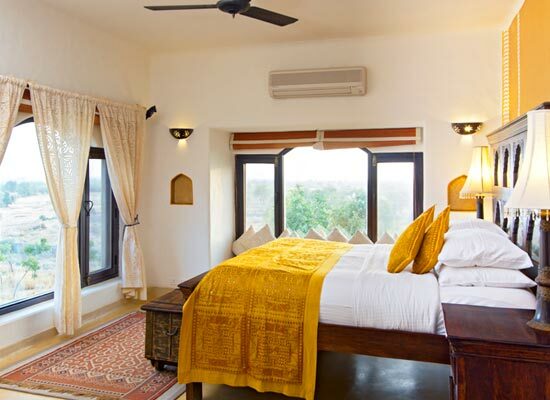 "Mihir Garh is a desert hotel that celebrates the rich culture of Rajasthan and blends it with luxury to make it a matchless affair. The fort stands as a magnificent structure in the vast expanse of the Thar Desert. 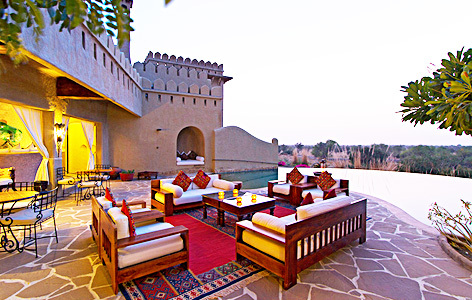 The fort is an architectural marvel that takes inspiration from the rural village architecture of Rajasthan. The tall mud walls with rounded corners and beautifully placed fireplaces make one flip back the pages of Rajasthan's glorious history. The fort truly represents the culture, royal charm and royalty of the state. The desert setting is matchless and makes one come back again and again. 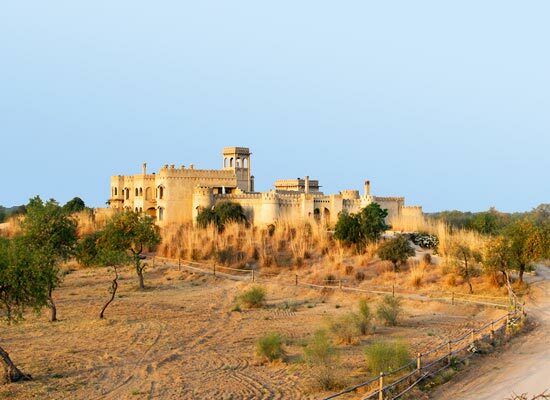 Mihir Garh not only brings to you world-class services, but it also promises you with a timeless hospitality that makes you experience a royal stay right amid the wilderness of the Thar. In the year 2014, Thakur Sidharth Singh, became the 14th and present Thakur Saheb of Rohet and Double Tazimi Sirayat of Jodhpur. Back one day when he stumbled upon a treasure - “Mali Nathji ka Dhora”, the sacred dune dedicated to the Warrior God in Marwar, he wondered how he could share the spectacular beauty of the place with others. 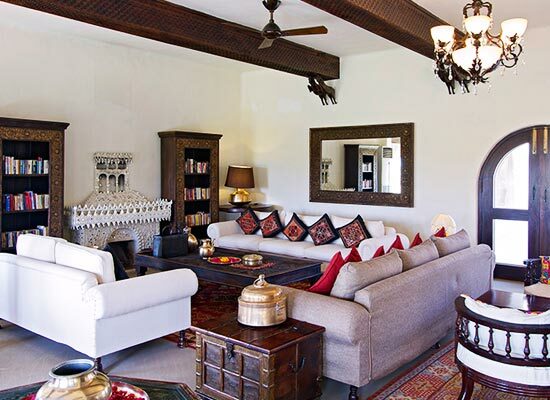 It was then that with his wife Rashmi, he planned to build Mihir Garh, a fort where people could soak in the beauty of the sunset and experience something mystical at the jewel of the desert. More than 100 artisans, craftsmen and carpenters came together to make this dream a reality. 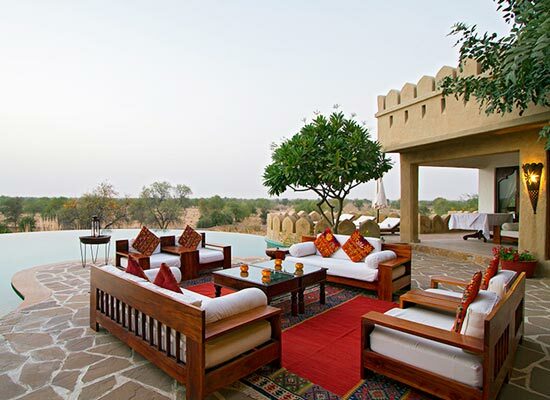 Today, Mihir Garh is one among the most luxurious and extraordinary hotels in India. 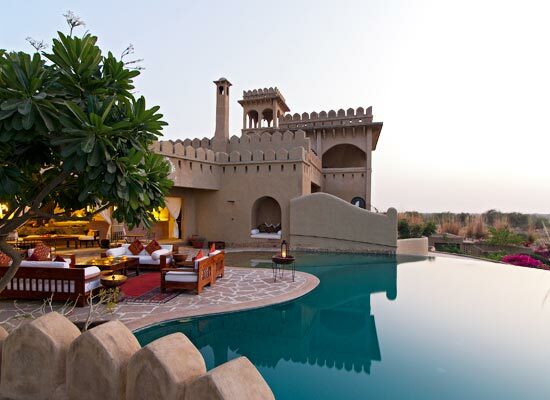 Mihir Garh fort houses nine magnificent suites that sprawl over an area of more than 1700 square feet each. Every suite gives comfort and luxury a new definition with those private Jacuzzi’s or plunge pools. Guests can enjoy a spectacular view from any area of the fort for it is specially crafted for an exceptional experience. Every nook and corner of the hotel offers the much required intimacy that one needs with oneself and another. The fort is dotted with a number of lounge areas and cubicles that are perfect for a lazy afternoon cup of tea or a late evening sundowner. Before preparing any meal of the day, the staff at Mihir Garh makes sure that you are served with food that matches your palate requirements. 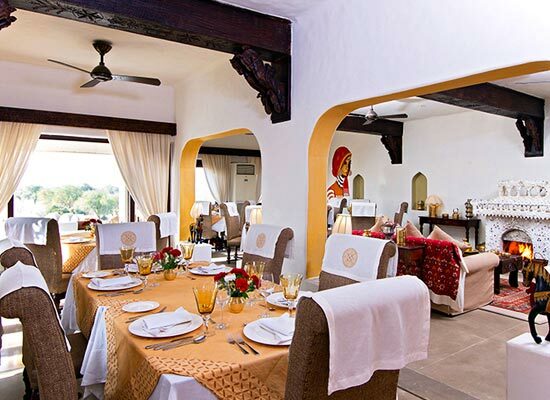 At Mihir Garh, it is ensured that all the guests are served with dishes from their favorite cuisines. Chefs at the fort prepare dishes from Indian and International cuisines. However, traditional Rajasthani recipes are the star highlight of the kitchen. The menu also includes signature gravies from the Thakur’s mother kitchen. While the breakfast is served beside the pool, lunch can be enjoyed in the room or the desert tent. Both Indian and continental dishes are available for breakfast. Dinner is booked with the local musicians. The dining hall is beautifully done and features bold wall paintings prepared by Rajasthani artists. Guests can enjoy fish, meat and vegetable barbecues at the poolside terrace. Rohet Garh, a sister hotel located nearby also offers an Indian-continental menu. Jodhpur is where the Thar Desert, blue painted houses, colossal forts and palaces together take you back to the glorious history of the city. The city is well-known for housing some of the most beautiful marvels that represent the history of India. Jodhpur speaks loud of the history and culture of the country. Some popular attractions of the city include Umaid Bhavan Palace, Mehrangarh Fort, Jaswant Thada, Kaylana Lake and Balsamand Lake. Some popular attractions located near Mihir Garh fort are Shri Ganesh Temple, Umaid Bhavan Palace Museum and Jaswant Thada.